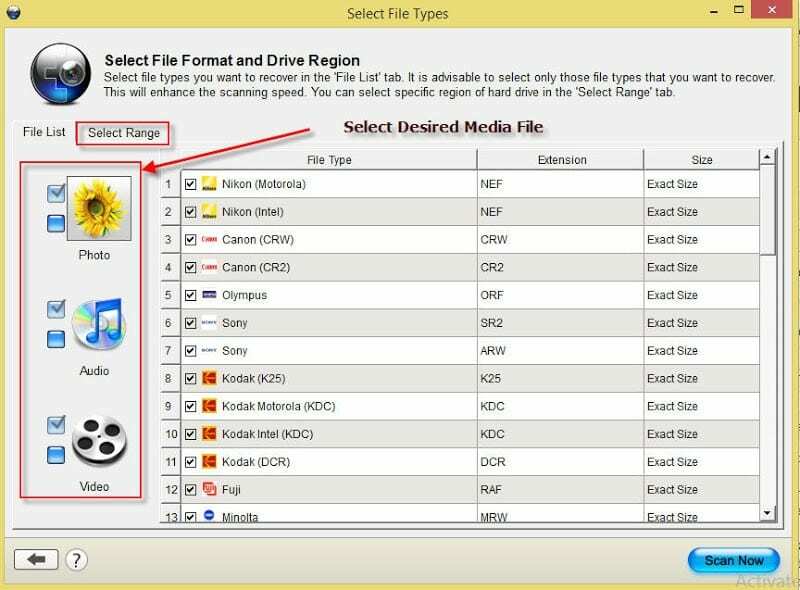 Home How to How to Retrieve Deleted Pictures from Memory Card using Software? 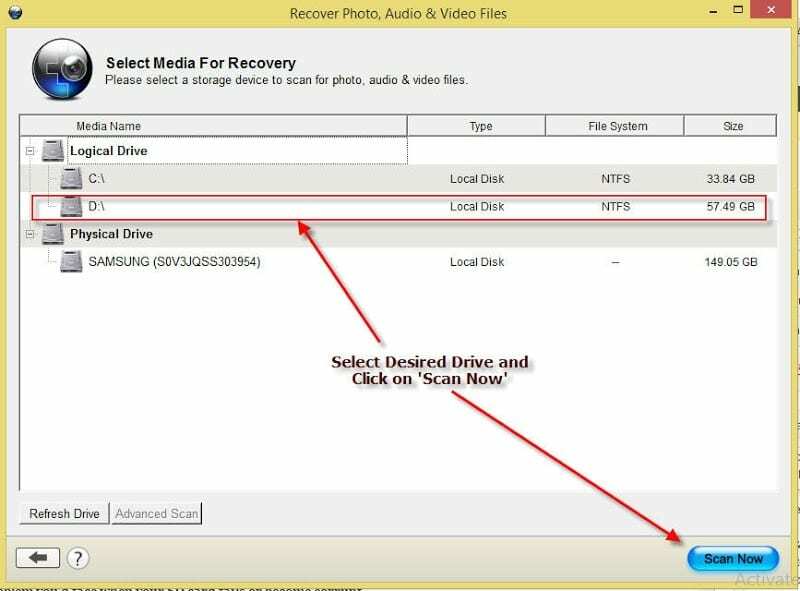 How to Retrieve Deleted Pictures from Memory Card using Software? Hi, I have accidentally deleted some of my precious photos from my Digital camera. Now, I am desperately looking for how to retrieve deleted pictures, please let me know if this is possible. Thanks! Well, it is a very common mistake that people do very often, so you really don’t have to worry about. You can easily recover all the deleted photos from your digital camera’s memory card in few simple steps. Even if you are unable to access your memory card, you’ll still be able to locate and recover pictures from memory card as all the pictures are still available in it. Always remember, when you delete something from your memory card, it does not wipes off immediately. The file system only marks this place as empty and allows your camera or any other device to write new pictures over it. However, always remember that the overwritten data can never be recovered. Therefore, it is always better not to use the memory card after deletion, until you haven’t recovered your deleted stuff. So if you have not used your memory card yet after deletion, then remove your memory card and connect it to your Windows system directly or via card reader. 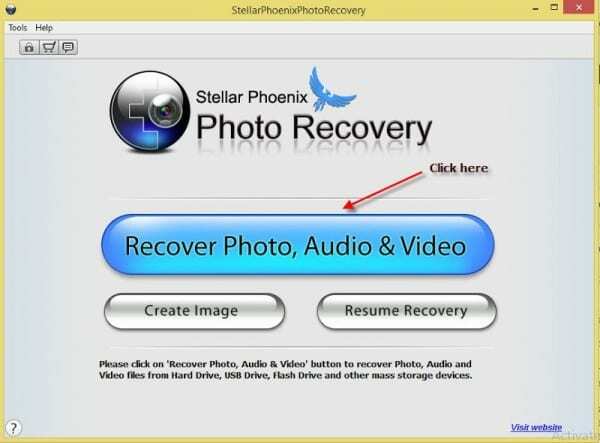 Now download Stellar Phoenix Photo Recovery software on your computer and install it properly. This tool is very fast and efficient, and will take only a few minutes, to get downloaded and installed on your computer machine. Stellar Phoenix Photo Recovery software is an efficient tool that recovers your completely lost and deleted data. It supports recovery of photo, audio and video file formats including various others. You can recover deleted pictures from almost all the popular brands of cameras by this efficient software. The tool allows you to add or remove the file type using the Add Header feature of the tool in case the file list is not sufficient for you. After download and install you need to run the software and follow some simple steps to retrieve your deleted pictures back. 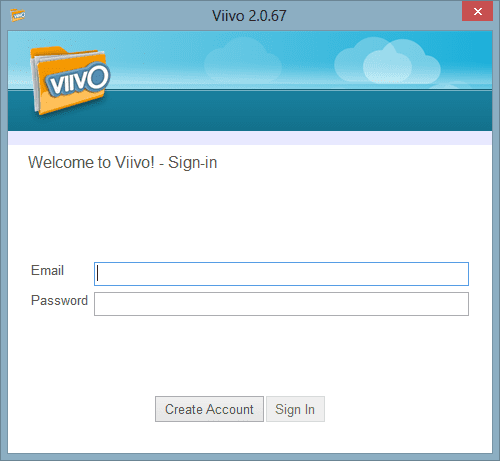 Let’s have a look on working of the software. 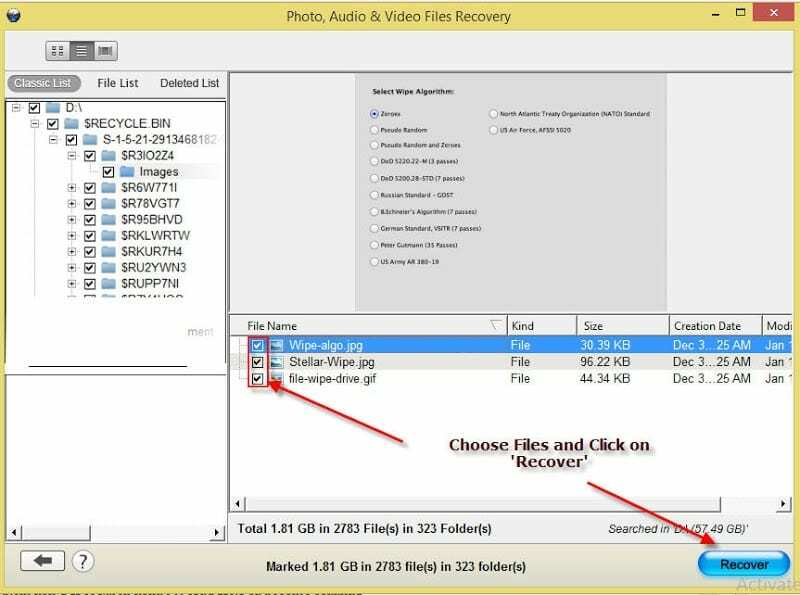 This option allows you to recover all the supported images and media files. If you choose it, it will show you the connected (currently Active) hard drives and other removable storage devices on your system, you’ll need to select the desired one to get started. 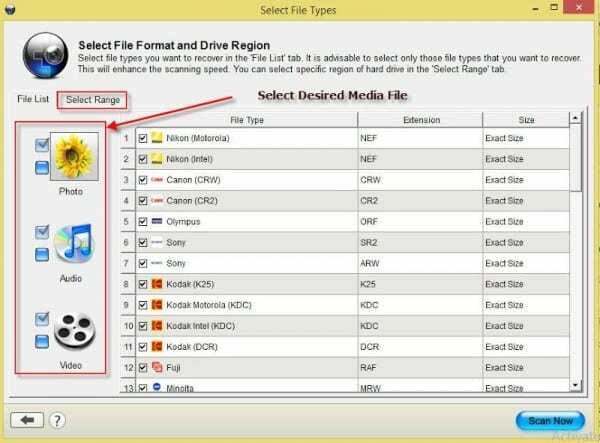 Now, select your desired media device for which you want to scan and recover files. You can also choose ‘Advanced Scan‘ option if you want to configure the file type according to your requirement. In ‘Advanced Scan’ you can add and remove the file type for a better recovery. After initiating scanning process, you’ll need to wait until the software completes scanning procedure. You can see the status on the window. After successful scan, a list of all the recoverable photos, videos will be highlighted on the left pane of the window. You can click on the file and preview the image. 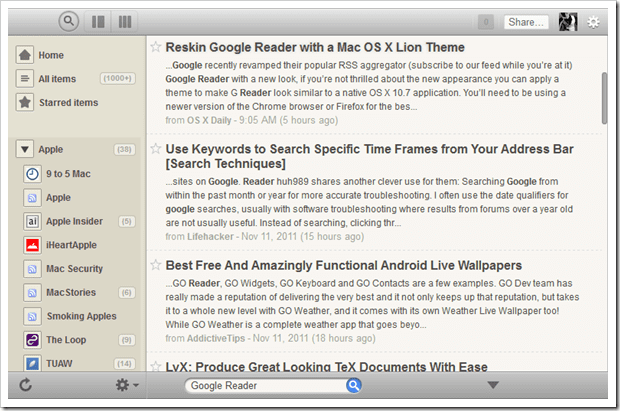 Now, you can click on ‘Recover’ button to save the file. Choose a desired location first to save your recovered files.